Many are choosing to take private lessons with me. The benefit is that you can start immediately and whatever time you prefer. The one drawback is that you will be practicing with me, and not have different experiences with other students. The plus is that you will go at your own pace, and not be slowed down by someone who is taking more time. You will have your pressing questions addressed immediately & in private. You may also feel more comfortable in sharing personal information. The cost is 45$ per hour, most people take 2 hours per session. The time to finish Level 1 is 7 - 10 weeks. It depends on each individual. If you view the offerings of most Tarot courses, they are offered in parts, so you may learn the Major Arcana in 2 days, and then if you are able, the Minors will be offered at a later date. Then a separate Course for the Court cards is given a etc. etc. etc. People end up more confused, and they don’t get to practice. The teacher doesn’t assist with her interpretations; so you are left to struggle on your own with other students who are uncertain and also stumbling along. You are not taught the basics of clearing your mind to read with clarity, or the different ways that intuition works with or without the cards. Here are the Course details. 8 weeks, 3 hours each session. You will learn the entire deck, and by the end of the Course be able to do a variety of Spreads, including the Iconic Celtic Cross. You will need to provide your own deck, preferably the Rider-Waite; any style. I will provide you with a Free Download of a 50-page manual I wrote for the Course. Each class will be taped via MP-3 and emailed to you. So if you miss a class or simply want to go over the material again, it will be available. Registration to hold your space is 200$ non-refundable, and deducted from the total cost. Tarot Numerology or Birth-Pairs is an 8 week Course offered to all Tarot Enthusiasts & Readers who are confidently and have been using Tarot for at least 6 months. It is a fascinating journey into the Psycho-Dynamics of the Major Arcana as ourselves and the people we KNOW, OR READ FOR. USING Tarot Numerology WE discover the Pairs TO Comprehend the unique polorities we hold within our energy, and how the un-owned aspects then create stuck energy or depression. When balanced the polarities complement and balance each other. 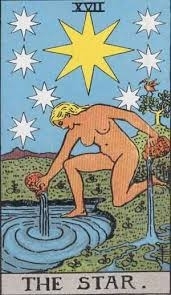 We can implement more deeply the Psycho-Spiritual aspects that tarot was always meant to offer us. The Birth-Pairs Course has alot of Theory. We will also be delving into advanced spreads & permutations. If time permits we will look more closely at Elemental Dignities. Audio-tape MP3's will be provided for each class.